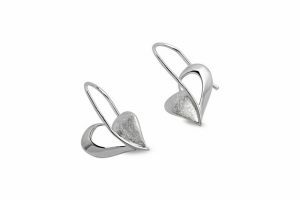 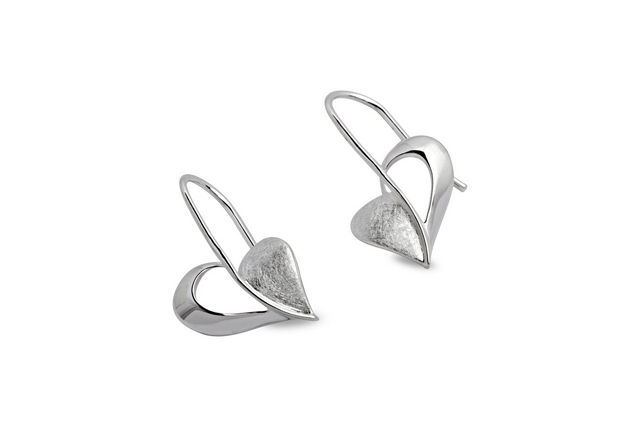 Sterling silver (925) heart earrings with scratched and polished finishes. 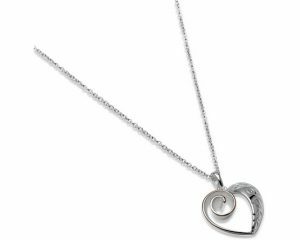 Sterling silver and rose gold plate heart pendant. 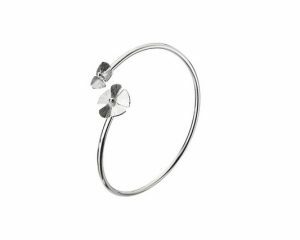 High quality, solid sterling silver torc bangle. 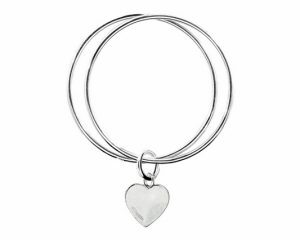 Sterling silver bangle with heart charm. 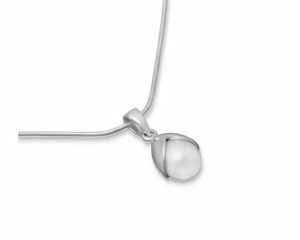 Sterling silver and pearl pendant.